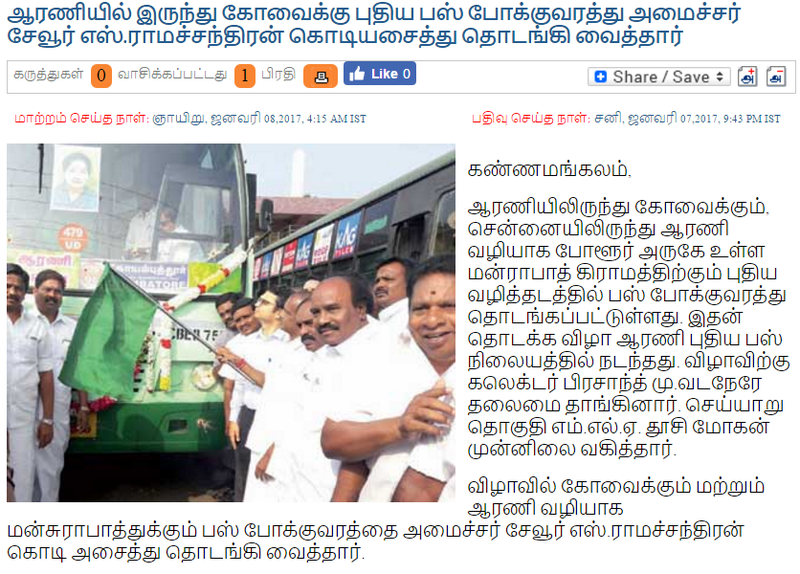 New SETC Service and a TNSTC service was flagged off by Honorable Minister of Hindu Religious and Charitable Endowment Sevur S.Ramachandran on a function held at Arani. New SETC service 479UD from Cocimbnatore to Arani and TNSTC Service connecting Chennai from a village Mansurabath near polur. SETC Timings | Coimbatore : 09:00 A.M. 09:00 P.M. | Arani : 09:00 A.M. 09:00 P.M.